Site Loading Speed – How is It Useful for Optimizing a Website? 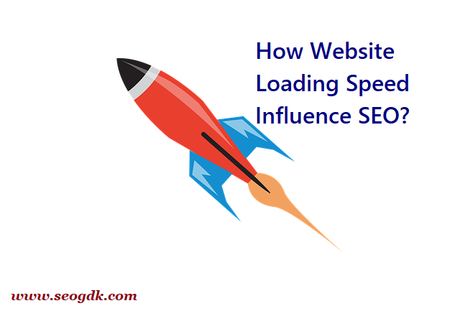 Since 2010 Google has announced that site loading speed has a significant impact on the website's ranking, in simple terms, site loading speed refers to the total time required to display all the contents of a website and includes the time required to access different pages on that website. According to Google’s recent findings, the average site load time for any website is 3 seconds, while it is 7 seconds for E-Commerce websites. If your website takes more time to load than the above-mentioned averages, then you are at risk of losing approximately 50% of your organic traffic. This is because a poor site loading speed has a direct impact on the User Experience (UX) factor of your website. And if you have even a little knowledge about Google’s SEO algorithms, you might be aware that Google doesn’t tolerate even slightest compromise with UX. If your UX is poor, your website will be demoted on the Search Engine Results Page (SERP) rankings. Thus, it is quite clear that greater the site loading speed, lesser will be the organic traffic attracted to your website and vice versa. And to top your problems, a bad UX will ultimately also have a direct impact on your website websites, causing losses. Thus, Site loading speed has a great significance in optimizing your website for better user experience. If you’ve chosen cheap hosting services to save cost for your website even if incompatible to the level of your business, then you cannot get good quality hosting services for your website. This will have a direct effect on slowing down your website’s loading speed. The Solution is to hire only those Hosting services which are compatible with your business level. If you’ve chosen the best player in the market to provide hosting services to your website, but you have defaulted or legitimately refused to pay the compensation deserved by the company, the company will rightfully lower the quality of hosting services to your website. If your website has videos audio embedded from some external source, it will take a lot of time to load. Instead, you can try hosting the media on your server itself. If images which take excessive time to load, i.e.images of the format JPEG and logos, are present on your website, then it will undoubtedly slow down your website's loading speed. Instead, to avoid this problem use PNG format of images wherever possible. If your website has been bombarded with loads of different Ads, it will lag your website for the users. Minimize the quantum of Ads displayed on your website to avoid this problem. If your website’s HTML or CSS code is hyphenated or too dense, it has a direct impact on the efficiency of your website. If your website is inefficient, it means it will take too much time to load. As a solution, use simple HTML/CSS Code for your website to ensure optimum efficiency. WP Rocket is the best WordPress plugin that speed-up your website instantly and helps you to fix any WordPress performance disputes that increasing your website loading speed. It also delivers fast loading times whether you are a learner or a performance proficient. This tool is renowned as the most influential caching plugin by WordPress professionals. Page Speed Insights provides your website a score ranging from 0 to 100 on the basis of your website’s loading speed. It does assess not only your website's speed but also analyses your website’s User Experience (UX). Apart from that, this tool also provides you with a detailed summary of keys and advice to optimize your website. This tool doesn't provide you with any ordinal results of speed tests, but instead, it provides you with graphs and charts of your website’s performance for competitive analysis. As mentioned in the problems above, one of the major problems which can affect your website’s loading speed is the density or complexity of your HTML/CSS code. This YSlow plugin assists you in compressing your website’s HTML/CSS code to ensure optimum performance efficiency and loading speed. This is Google's recently introduced process which ensures lightning-fast rendering of the results page and content delivery after users input search result across all types of devices, be it mobiles or desktops. This shows that Google has a positive intent for faster loading speed for users. Not only that, but Google also uses its cloud for the caching of the memory of all these search results. Google Fiber provides a fast and robust internet speed to all the users. It is Google's yet another means to achieve sound execution of something called an Internet Of Things. It promises a faster and accurate content delivery among the masses. When Google Fiber will be installed by all the general users, and when gigabit is considered as standard, that is Google's ultimate goal to achieve for the internet. Google’s developer guidelines mandate a response time of 200 milliseconds and a web page load time of one second to all the developers. This is another one of Google's classic indication of backing fast loading time for your website. There are several prominent SEO companies which you can approach to resolve your website’s slow loading issues. They will provide you with all the necessary guidelines and assistance required for optimizing your website’s loading speed, UX, etc. Thus you are now familiar with the concept of website loading speed, the problems responsible for slowing down your website’s loading speed such as Large size Images, external embedded media, excessive ads, etc. You now also know that Google’s intent is positively towards faster content delivery and results rendering to the users because it's algorithms, guidelines, and processes all point towards the same. Ultimately it is important to improve your website’s loading speed to optimize it for the users.